2500 Sq Miles of UAS Airspace! 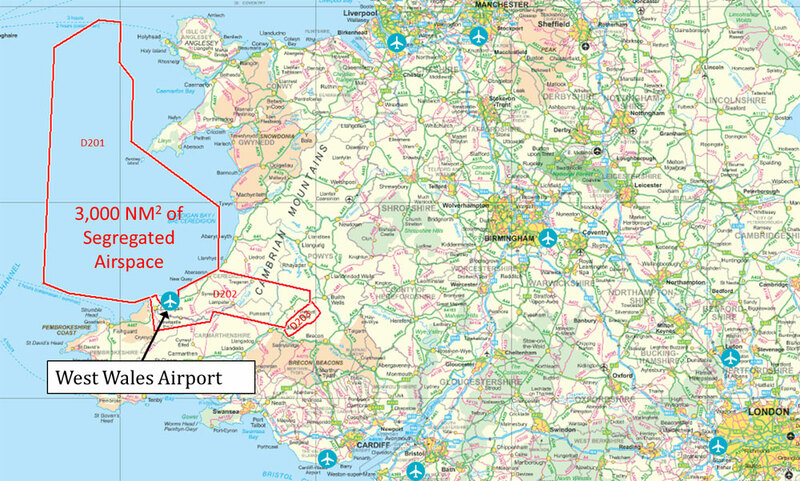 West Wales Airport is an independent world-class UAS flying environment and the only site in Europe that is fully authorised to enable the flying of UAS beyond visual line of sight (BVLOS) over land and sea. With its unique position and specialised facilities, WWA has now become recognised as one of the most strategically important sites for the aerospace industry in Europe, now the era of unmanned aviation has well and truly commenced.